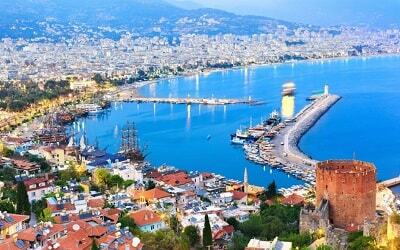 The waters off the coast of Alanya are some of the richest fishing grounds in the Mediterranean. 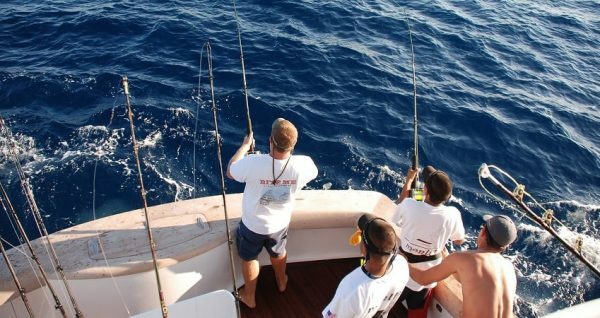 Join your expert skipper on board our luxury fishing boat and head out into the deep blue sea for a day of adrenaline filled fishing in Alanya Fishing Tour. Whether you’re a keen angler or just setting out on your first ever fishing trip you’ll be glad you chose to come on board our fishing vessel. 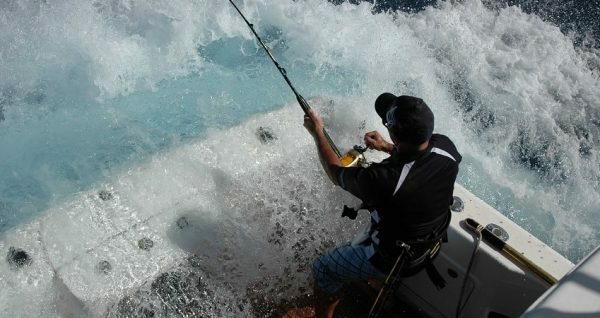 Our expert crew know exactly where the best fishing spots in the area are and the equipment on board is all high end. Our driver will collect you early in the morning and take you to our fishing boat to begin today’s adventure. Our 12 metre vessel is equipped with all the latest fishing gadgets to help you find the fish. If you like, you can bring your own rods, but it is not necessary as we have all the equipment needed on board. Our captain is well used to these shores and knows all the best spots to take you out to for today’s catching. As we set sail from the harbour in Alanya you will leave behind the daily grind of normal life and head out into the deep blue ocean. Stunning views will greet you as we pull away from the mainland so be sure to bring your camera along. 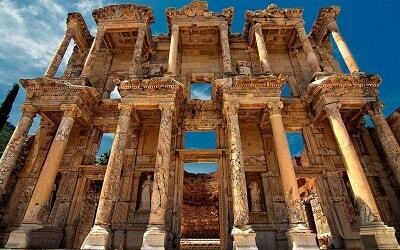 Once we get out into the open sea, this is where the giants of the sea dwell. Huge crane fish, colourful coral fish, guppies, sea bream and more are all on the menu as we cast our lines into the water. If this is your first time fishing do not worry. 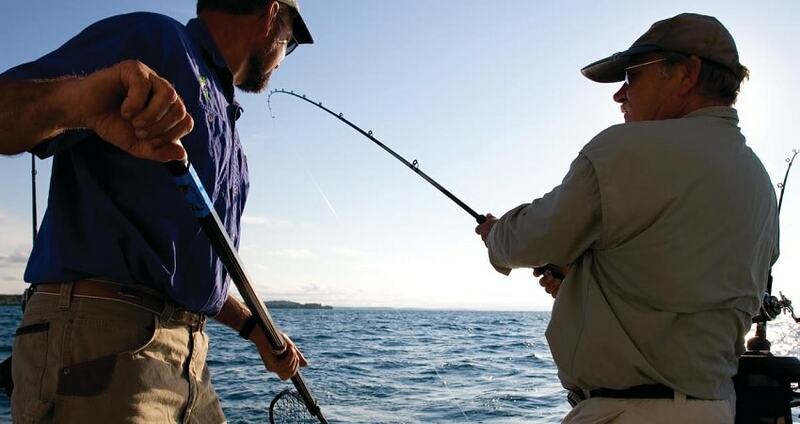 Our expert crew are here to help you and will take the time to teach you how to cast your rod and what signs to look out for. 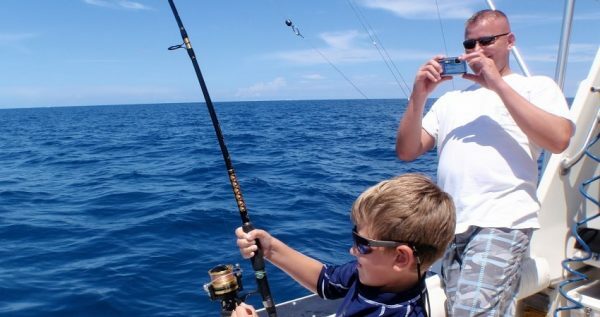 Whilst fishing it is also possible to enjoy a swim in the sea or simply laze about on the deck and enjoy the sunshine and cooling sea breeze. Lunch is of course included in the cost of the trip and hopefully might include some freshly caught fish. There is a barbeque on board the boat for your enjoyment. The whole tour takes about 6 to 7 hours and once we are back on dry land your driver will be waiting to take you back to your hotel. Alanya Fishing Tour starts early in morning as your driver comes to collect you from your hotel and we arrive at the harbour for about 5am. The morning is the best time to go fishing and early bird gets the worm. 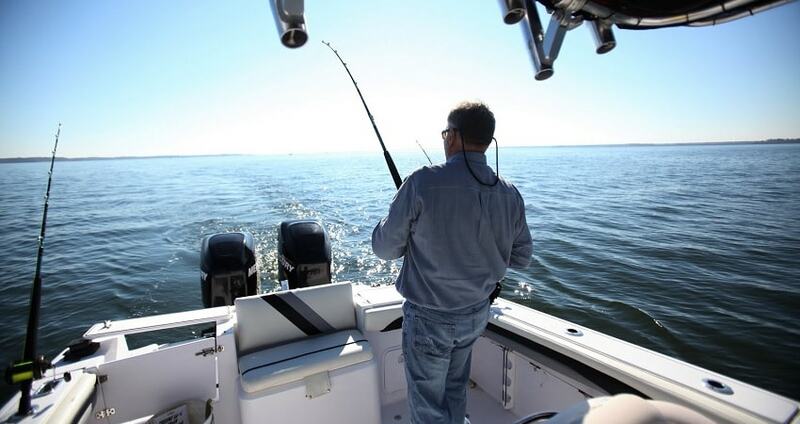 Our fishing vessel is equipped with all the latest fishing gear and more importantly is skippered by one of the area’s most experienced captain. 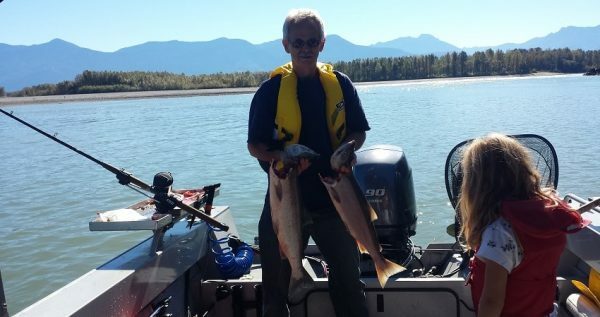 Local knowledge is very important when it comes to fishing and we will do our very best to get you right on top of the best local fishing spots. 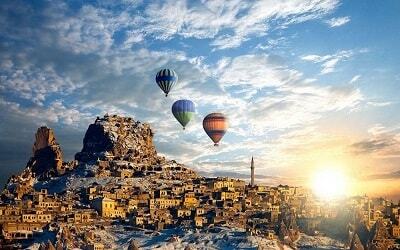 There is no need for you to bring anything except your sense of adventure with you today. And perhaps a camera and some sun cream. All of our equipment is state of the art and is in great condition. We will also show those new to fishing how to use the fishing equipments and provide training so you have no need to worry. 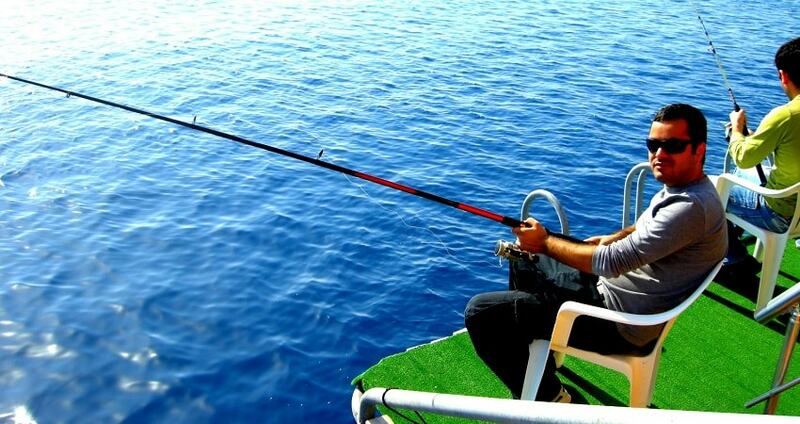 On Alanya fishing experience you will be fishing in deep sea. 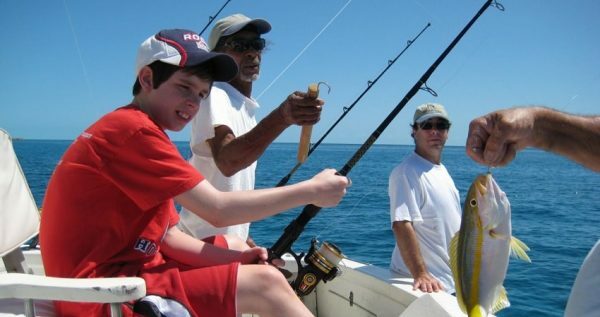 There’s a good chance you’ll be able to catch many different kinds of fish including coral fish, guppy fish, sea bream and many different types of exotic species. The waters off Alanya benefit from a warm current which brings with it the perfect conditions for fish to live, eat and breed. As a result, these waters are well known for providing awesome fishing trips. 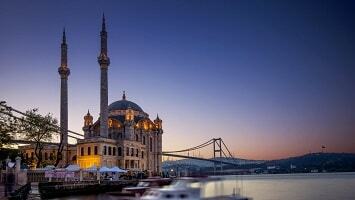 You do not need to be an expert to catch something as Mediterranean Sea is pretty rich with various of spieces. Fishing is all about taking the foot off the pedal of life and having a relaxing time. While your rod is cast in the water you can take a quick swim or just chill out on the deck and enjoy the sea air. The boat is equipped with a barbeque that our crew will cook lunch for you on. Let’s hope lunch will have some freshly caught fish. After a full morning fishing it’s time to return back to harbour. 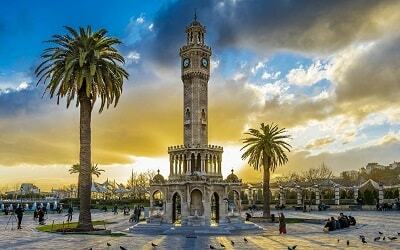 Upon arrival at the harbour your driver will be waiting to take you back to your hotel in Alanya.